For most of 2015 I was unable to feel joy. With things going wrong in the workplace, things like this on my mind, and 17 iron infusions in front of me, I was a seething ball of fury. I was short with my family. I was a raging harpy online. Every day was just another routine. Everything was dull. I just wasn't myself. It wasn't until I started down a long road of insomnia, had a couple of my first-ever panic attacks, and began to have dull chest pain that I realized stress and anxiety were running away with me...carrying me further away from my family and myself than I ever wanted to be. I'm generally a pretty happy, if snarky, person, so finding no joy day after day was disturbing. I've always enjoyed time with my family, the book community, and writing, but nothing was touching me deep down inside. I felt numb. Once the physical symptoms started piling up, I decided to go ahead and talk with my doctor about medication for anxiety and depression. I've fought depression fairly often over the years, and I have a long family history, but since my mid-twenties I've largely been able to take my symptoms in stride by keeping crazy busy. That's just the way I've done it...not that it's advisable. But it wasn't working anymore. For the second time in my life (the first stint being around 2004), I decided to go on Zoloft. My doctor also suggested "as needed" Xanax for the overwhelming days when Zoloft doesn't cut it. Do I feel ashamed? Hell no. 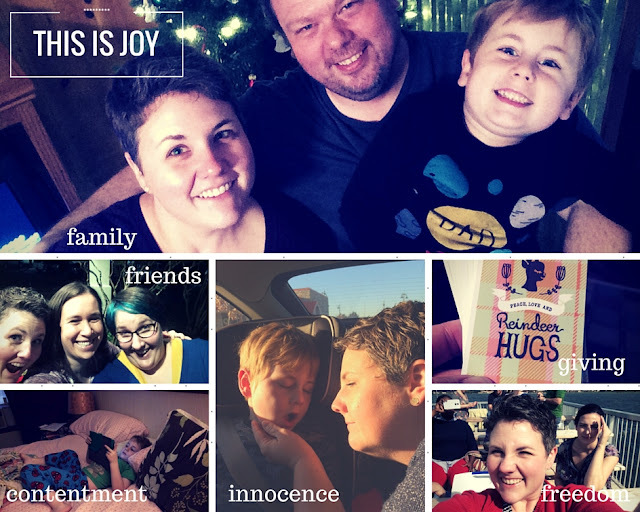 The title of this post is "choosing joy" not because depression and anxiety can be overcome by choosing to be happy. Not at all. But I chose to get the help I needed in order to feel joy again. It's a glorious feeling not to be angry or overwhelmed all the time. To want to commune with friends. To be kinder to the people closest to me. Is every day a win? No. A few days ago I had an absolute crap day at work, Greyson was still newly out-of-state with his dad, and I was in the doldrums, but a glass of scotch with my husband, a back rub, and a good night's sleep were enough to put me back in a good mood the next day. No physical symptoms. No fighting to keep my head above water. I hope you're healthy and happy this holiday season. I hope you feel joy right down to your toenails, but if you don't, know that plenty of others have been there or are there now. I wish you hope. I wish you the help you need. Can I just say "Amen sister." I know - long comments are the thing - but those 2 words pretty much sum up my long inner monologue. Good for you! You should be proud of seeking treatment! Good for you for taking charge of things! 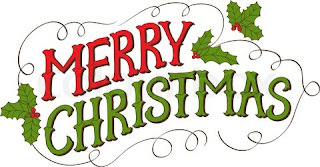 I hope 2016 brings you lots of joy and have an awesome holiday! Thank you, Sarah! Joy all around! Joy is always an excellent choice! Good for you for getting the help you need. Praying 2016 will be a much healthier year for you and a season of joy for you and your family. Thank you, ma'am! I hope so, too! I'm so glad you are doing what you need to find joy in your life, Miss Andi. Merry, merry Christmas to you!! Sometimes, we all have to do whatever it takes. I suffer greatly from depression during the holidays, and I was never one to take meds until my husband died. It was indeed a choice to live for my thirteen year old son. It was amazing what that one choice did to put me in a state of function again, for my son AND myself. Merry Christmas, Andi. I'm so glad that choice was helpful to you and to your son, Kathy. Cheers to you! A lot of people have a hard time treating their depression but if you had diabetes, you'd treat that! Why is it different? I've been surrounded by depression all my life. My mother, father, sister and hub all deal with depression and they've all battled and fought medication but it's a chemical imbalance that can be treated. Sometimes, not easily but with the help of a good doc, relief can be had. I am glad you posted this because there is absolutely nothing wrong with seeking out treatment. SO glad that you managed to inject some joy back into your life. I struggle with it, too. Too much outside work crap, too much running around. Just TOO MUCH. Just TOO MUCH is the perfect way to put it. Sometimes we just have to step back, make a choice, get some help, and do the things that make us joyful again. I hope you had a great holiday, Ti! Andi, thanks so much for this post. I suffer from anxiety and depression, so I can definitely relate. I think you are amazing for deciding to choose joy and take meds that will help you. I'm so glad you wrote this post. Merry Christmas!! May 2016 bring you plenty of joy!! Great post, Andi. Thank goodness there are medications that can help. Having to suffer from anxiety and depression is debilitating and it affects not just the person but their family. I hope you find a lot of joy and health in the New Year! Yep, such a little thing can make such a huuuuuge difference! I don't feel any different from my normal self, but things roll off SO much easier. I'm glad you've found what you needed. Panic attacks are the worst. Happy New Year! Thank you, Jennine! They really are. Ugh! Thanks for reminding us all that there is an awesome person behind this blog. Keep choosing joy, Andi -- we're behind you! Awww, thank you. I just don't want the image I project online to be so sugarcoated. It's easy to only show the good stuff. You go girl! I know anxiety and numbness myself and I'm so glad you did what it took to get you smiling again. I'm happy for you, my friend :). Hope 2016 brings you many more happy moments and a constant glow! Thank you so much, Chelsey! Cheers to a great 2016. ISN'T it glorious? People have told me before that Zoloft is a placebo and I don't need it even if it really worked, but hell, if it is, it's a placebo that makes me feel more like myself than I had for the nearly decade prior. So I'll take that. I'm super glad to hear that it's working for you!! Well said! We've got to fight the stigma attached to depression, anxiety, and other mental disorders. There is help and it shouldn't feel wrong to ask for it. Oh, girl. We have the same minds. I actually selected my one word for 2016 because it is how I want to feel and I am so far from that these days that I barely recognize myself. I have an appointment with my physician on January 15th, and I will be having a LONG talk about my anxiety, depression, and anger issues. Joy is a great word! This a really honest, excellent post. I'm listening to Furiously Happy and she makes an excellent point about how people just don't seem to grasp the idea of mental illness when you supposedly don't have anything to be upset about. It's so true. Happy holidays! I love your honesty, Andi. I was thinking about you on the 25th, wondering how you were getting through the day with out your sweet little boy. I'm sure he had a grand time with his dad, but I know it must've been rough for you guys. Every year, I struggle with the holiday season, burying myself in my job, working until exhausted, trying to ignore all the cheerful shoppers and counting the days until the 26th. I don't know if we'll ever really enjoy Christmas again, but I hope someday it will be easier. You'd think after 10 years it would be, but it's still just a day we want to get past. Between Rachel's absence and Amy's decision to spend every Christmas in Hawaii with her dad and stepmom, it isn't a joyful holiday. I try not to feel sorry for myself, and getting away from home and spending time in Oregon with my mom is probably the best thing for us. I'm way late, but what a beautiful, beautiful post. I hope 2016 brings you so much joy!